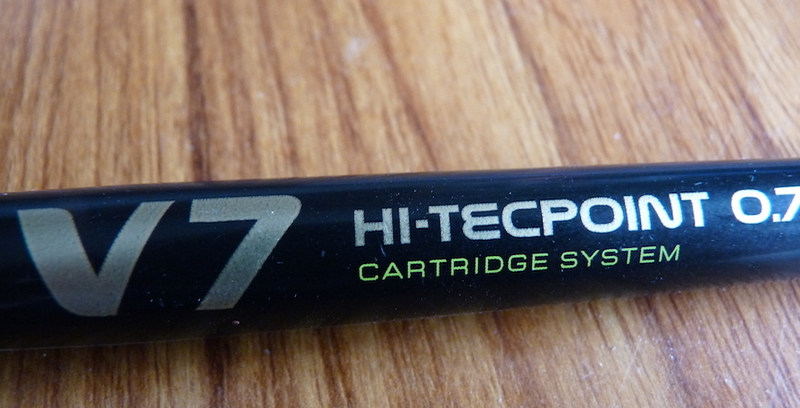 Pilot V7 Hi-Tecpoint rollerball pen review – Pens! Paper! Pencils! The Pilot V7 Hi-Tecpoint is a refillable rollerball pen, available in a 0.7 size, writing a 0.5mm line, and also a 0.5 size (the V5), and in red, blue, green and red. The black version is properly black, which, sadly, makes a nice change from the grey you so often get. 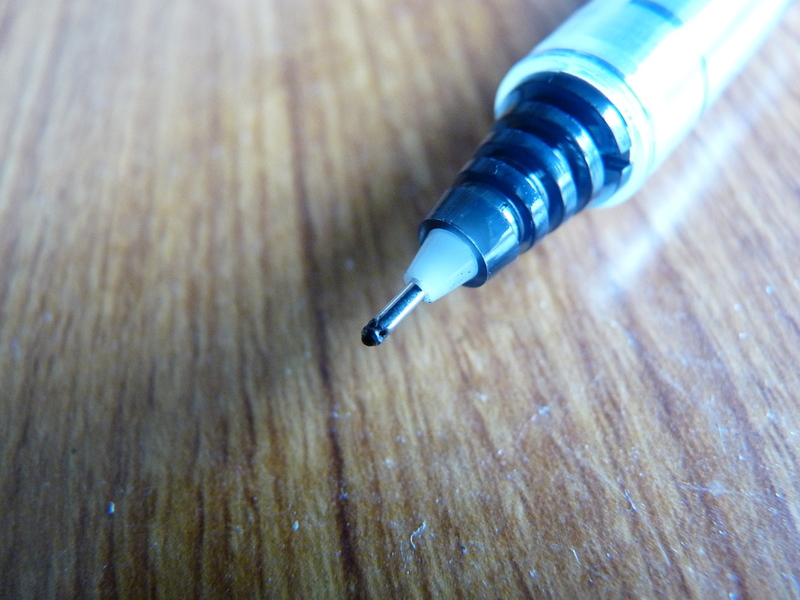 There’s a nice ink window that lets you see how close you are to needing a new cartridge. The pen is a comfortable size and weight. The standout feature is the cartridge system. They’re specific to this V7 (and the V5) pen. 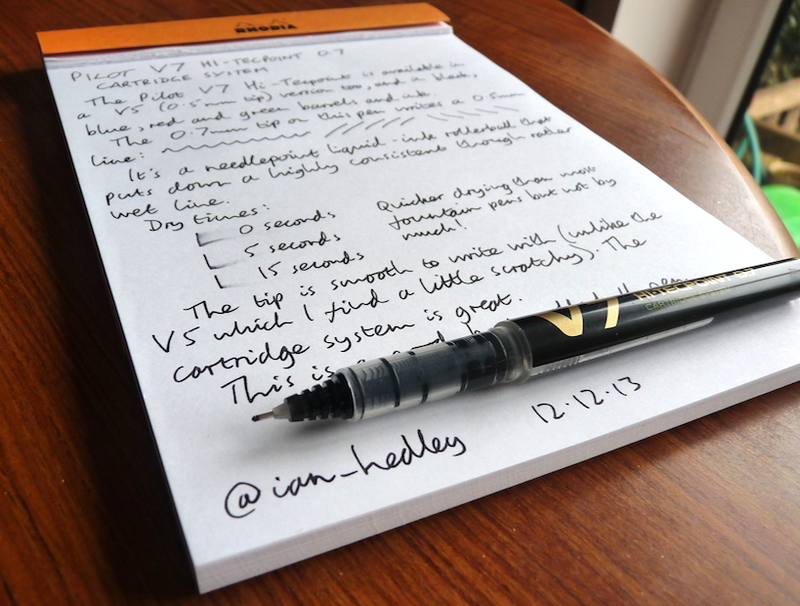 The Pilot V7 is great to write with. The nib is smooth (as opposed to the V5, which I found to be a little scratchy, even taking into account that it’s narrower) and lays down a very consistent, though pretty wet, line. All in all this is a good basic rollerball pen. Does it dry easily as I have a fondness for flowing black roller balls. Hi Jez! It’s a fairly standard rollerball so it’s not particularly fast drying but nothing too drastic. Hi, Interested in knowing the exact difference between Pilot V5 and V7 Hitechpoint pens. Could someone clarify? Hi Hemanth. The V7 has a 0.7mm ball in the tip, writing a 0.4mm line, and the V5 has a 0.5mm ball, writing a 0.3mm line. Excuse m, I think the V7 writes a 0.5 mm line. Yes you’re right, I wrote that in the review in two places too. Not sure what I was thinking when I replied to that comment! I am most annoyed. 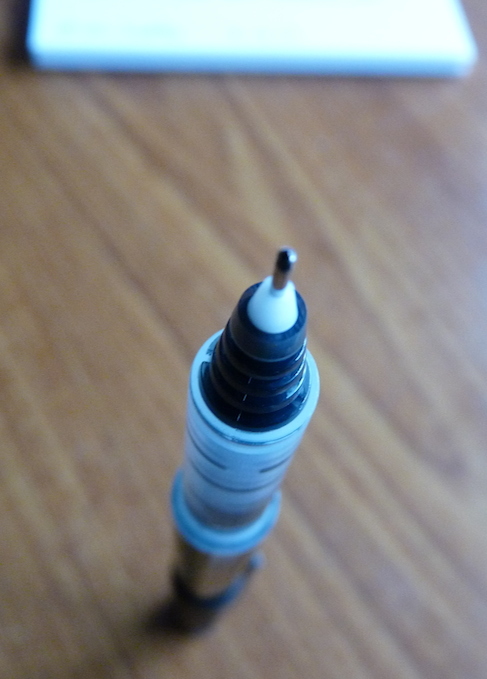 Within the last week I purchased a pilot V7 Hi-techpoint cartridge system pen. Not an inexpensive item. Not long ago I purchased a new carpet. Your pen has just exploded leaving a large stain on my new carpet. I shall be surprised if you accept that the pen was faulty and offer anything other than sympathy. However are you able to suggest how the ink can be removed from the carpet please. this is over a year old now but peter, all of these inks are water based. water and dish soap should be all you need. bleach if it’s dried on very tough. Yes, but you need to take care that there is no air gap in the tip tube. It takes a lot of experience to do this. Hey thanks for the review, I have become a fan of this pen but a problem I am facing is that I can’t seem to find the ink to refill it in the market. In desperation I have tried Parker inks, but inks meant for fountain pens are not as thick and the pen leaks a lot. I’m afraid I don’t know what to recommend because as far as I know no-one makes any ink specifically for rollerballs. However, much as I’m reluctant to recommend them, Amazon do have V7 cartridges for sale.